It’s the year 2044, and the real world is an ugly place. Like most of humanity, Wade Watts escapes his grim surroundings by spending his waking hours jacked into the OASIS, a sprawling virtual utopia that lets you be anything you want to be, and like most of humanity, Wade dreams of being the one to discover the ultimate lottery ticket that lies concealed within this virtual world. For somewhere inside this giant networked playground, OASIS creator James Halliday has hidden a series of fiendish puzzles that will yield massive fortune—and remarkable power—to whoever can unlock them. If you are a pop culture junkie, or a gamer, or a virtual world inhabitant, this is the book for you. 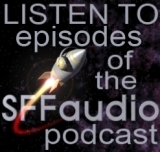 It was such great fun that I found myself making up reasons to listen to the audio book. Wil Wheaton has become one of my favorite readers, especially at 1.5 speed. His casual tone is perfect here. Don’t be turned away by people who claim that this book is pure nostalgia. While not heavy-handed, and arguably YA in tone, I found it to be thoughtful on issues of identity in an increasingly virtual world. And just try imagining the new cities of stacked mobile homes without smiling! 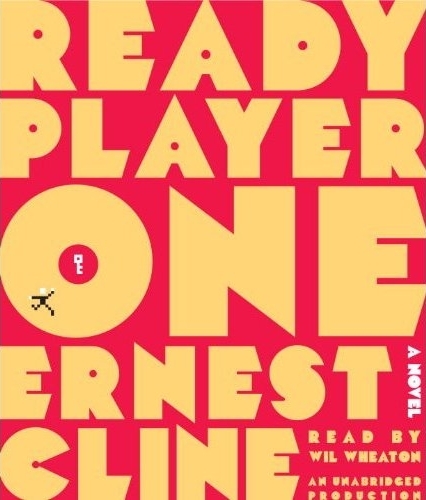 Other fun things – author Ernest Cline has a vibrant blog for the book, including a RP1 Game. He even posted a Spotify playlist featuring most of the music mentioned in the book. If that can’t get you in the mood for a little nostalgic romp, you are dead on the inside. Dead! P.S. Sadly, CBC still hasn’t delivered on my purchase of the J. Michael Straczynski radio drama that I paid for! Pay up CBC! Neat sounding book. Excited about the narrator. But I’ve got to nominate the cover as being one of the very worst of the second decade of the 21st century. You’re going to go with a Pac Man font on a red background? For a book you want me to read? That’s the cover you’ve really decided to go with?